Sorbitol, Sodium Laureth Sulfate, Propylene Glycol, Stearic Acid, Myristic Acid, Water, Sodium Hydroxide, Silica, Fragrance, Titanium Dioxide, Sodium Cocoyl Isethionate, Mica, Chromium Oxide Green, Bis(Glycidoxyphenyl)propane/Bisaminomethylnorbornane copolymer, Aluminum Hydroxide, Yellow 10, Red 28, Red 22. 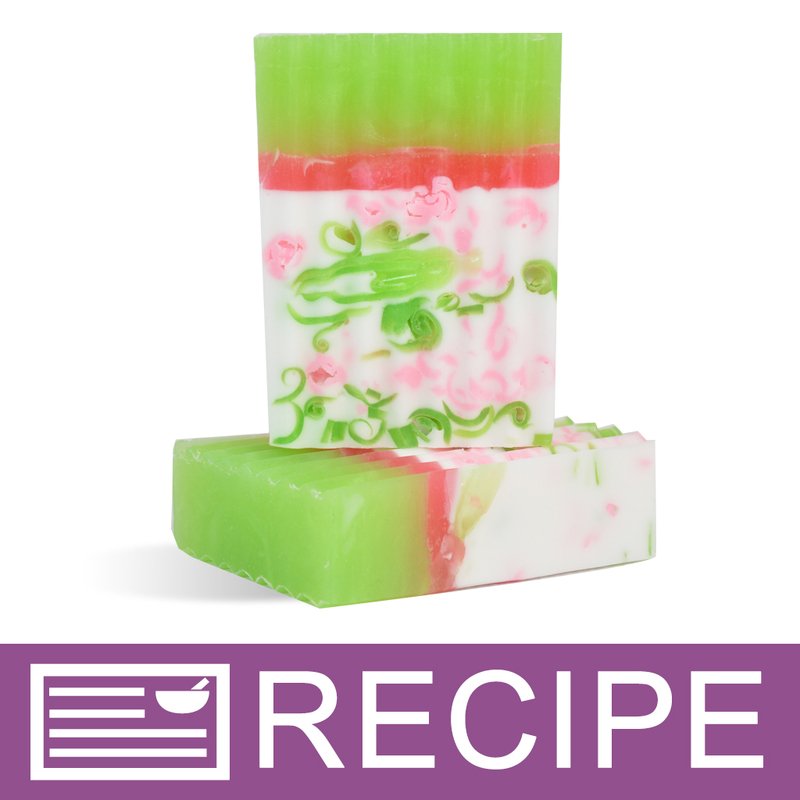 COMMENTS: While the shredding process is a tiny bit time consuming if you do not utilize a Salad Shooter, this soap iso appealing in scent and color, the reward is worth the work. It's a great seller. 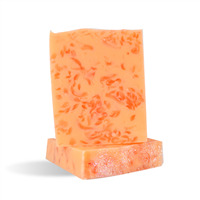 Perfect for spring and summer sales with it's fresh, crisp clean aroma. Yum! • Beautiful colors!! Crisp, clean scent! • This is a good seller!! COMMENTS: I purchased this kit, followed the instructions and ABSOLUTELY LOVE this!!! It smells amazing and the finished product is GORGEOUS!!! Went out and bought 32oz of the cucumber and pamplemouse fragrance oil to add to CP soap and other stuff too as my husband and I both love the scent so much. I will DEFINITELY make this whole thing again! 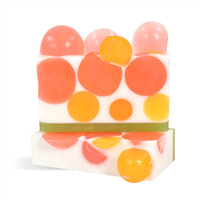 "If your suggested retail on this soap is about 6.00 for each of the 8 bars then how can we make a profit with the kit being priced at almost $50?" Staff Answer You should not take into account the two molds that are included in this kit which can be reused. These two molds total $32.90 if purchased separately. If you just add up the ingredients for the soap, this is an accurate retail price.